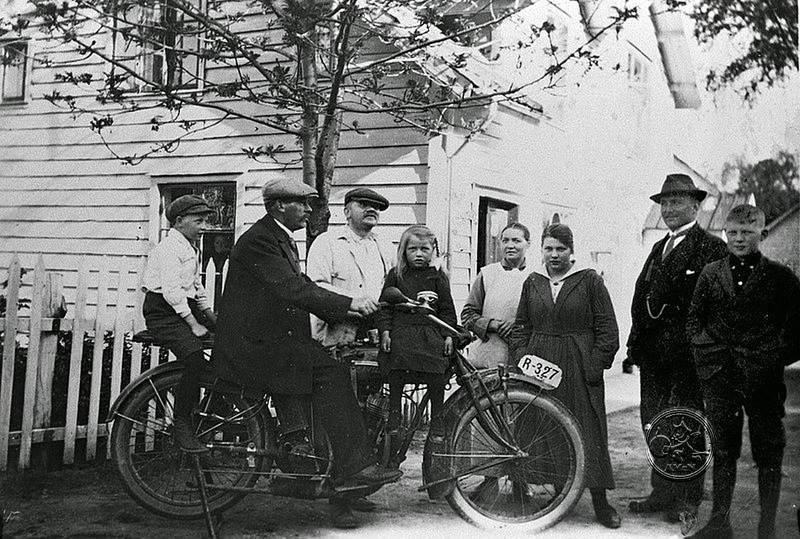 Imagine living back in the late 1910s, most people walked or bicycled if not traveling by train or ship. Private transportation, by means of either car or motorcycle was for most people still a dream. No wonder the entire family lines up for a photo when their relative come by to show his brand new Indian Power Plus. This is a really good picture, even if it is torn and abused. Look at this cool guy on his Henderson De-luxe. Picture is taken in Sauda, an industrial city located in the bottom of a fjord in western Norway. An electric furnace melted ferrosilicium, power to feed the electrodes was supplied by the waterfall from the mountains. Between the two great wars, small industrial cities like Sauda and Odda flourished and there was plenty off well paid work, hence some could buy quality motorbikes and cars. The Henderson owner seems to be a guy without worries, well dressed and free to go where ever he want in his time off from the factory. 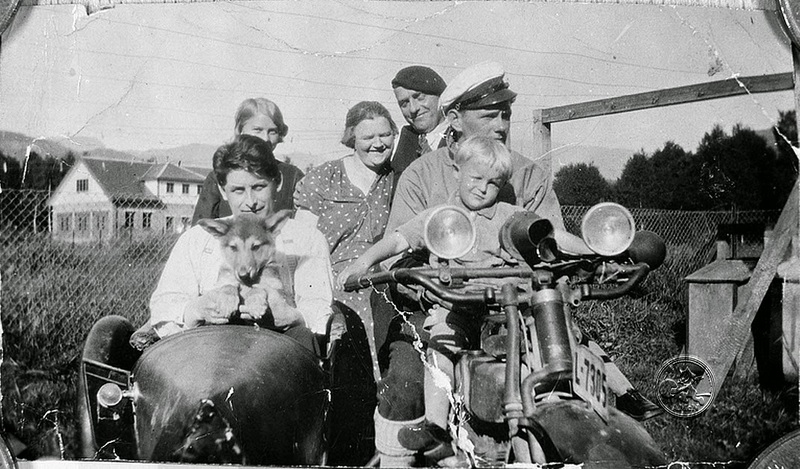 This photo is taken in 1932 and the bike is still not ten years old, despite this the original headlamp have gone and is replaced with two smaller bullet lights. This looks all right in a way, was quite common in the US too.